The Letter "M" is now next to the Letter "D" on my License! Who is daily driving a motorcycle EVERYWHERE? This girl. :3 Now I just need a good (but not expensive) helmet camera. 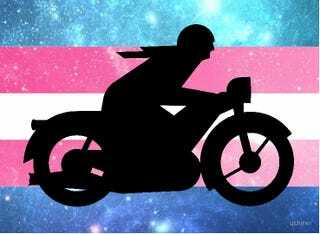 I think my YouTupe repoot will pe even petter with a trans motorcycle adventure theme to it. I also have a secondary goal of a second road pike (the Mad Max Gambler 500 scooter doesn’t count) before the end of the season.